Who is behind Magischola Prep? Magischola Prep is the latest project of Learn Larp LLC, North America’s premier educational larping company. Maury Brown is the President of Learn Larp and Director of the Program. She has twenty years experience in teaching, curriculum design, teacher assessment, and engagement research with students from elementary to grad school level. 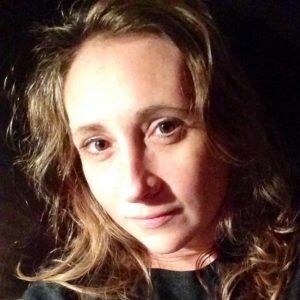 She’s a writer, academic, teacher, larper, feminist, and parent. She’s also been involved in improv and community theatre for many years. Her design passions are player agency and transformative emotional experiences in immersive theatre. She’s excited to be bringing together her love of theatre and roleplay with her love of education, and can’t wait for the first generation of young mages to go out and start changing the world. She can be reached at mebrown@learnlarp.com. 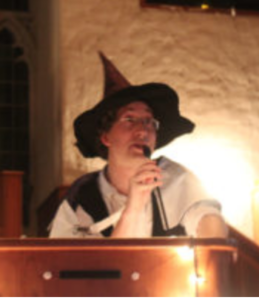 Ben “Books” Schwartz is the on-site Camp Director of Magischola Prep. They’ve been writing and running larps for over a decade, and aren’t remotely bored of it yet. After learning their craft at the Wayfinder Experience, they spent four years as the Artisan Guild Coordinator for Trackers Earth, designing and running educational summer camps. They’re excited to be bringing their expertise to Magischola and are thrilled to be doing so on the campus of their alma mater. They can be reached at campdirector@learnlarp.com. 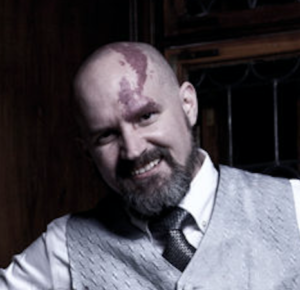 Ben Morrow is the Vice President and COO of Learn Larp. He handles the behind-the-scenes work that makes the whole thing run, for which his partners are eternally grateful. He’s been larping for two decades, and roleplaying in one form or another longer than he can remember. In addition to writing larps, he’s a scribe of sci-fi and fantasy fiction as well as game reviews. His goal for the summer is to escape his mountain of paperwork long enough to actually do some roleplaying with the students. He can be reached at bamorrow@learnlarp.com.